designs, an artisan boutique and gallery located at 243 E 4th Street in Loveland. courtesy of a return email or phone call. the city manager and Loveland City Council. 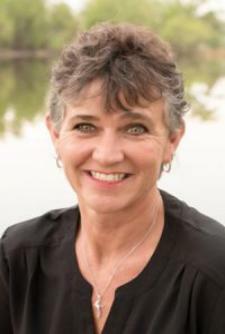 November and a candidate for Ward II. 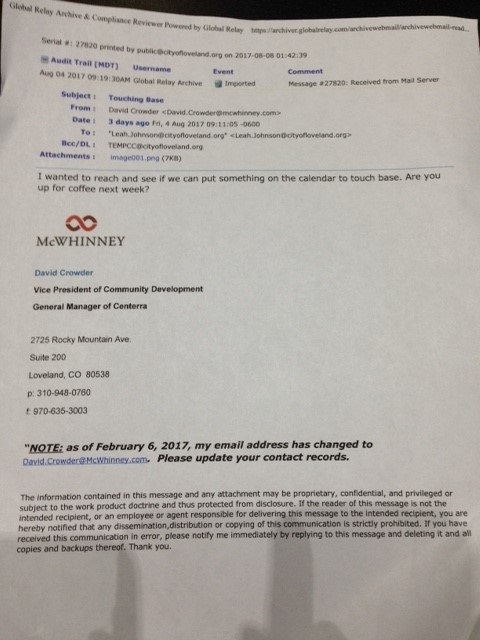 email to Johnson was sent from a McWhinney email account while using his public metro district title. 1,600 home master planned community while performing “community relations” for the developer. lobbies members of local government and often meddles in local politics. morning on 4th street by other patrons at the restaurant. Why So Much Interest in Ward II? Historically, Ward II draws very little interest from other parts of the city or state for that matter. seat in 2004 in an uncontested election as the only interested candidate. cast but still less than 50% of registered voters casting a ballot. council seats appear to be uncontested and of little interest. midnight where no public was present to comment or witness their local government’s actions. 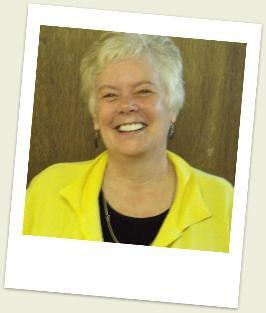 meetings where both Gutierrez and Shaffer have ignored her calls for an audit of McWhinney. surrogates focusing on Ward II to prevent Marsh from gaining public office. which Troy McWhinney recently made an unexpected "generous contribution." 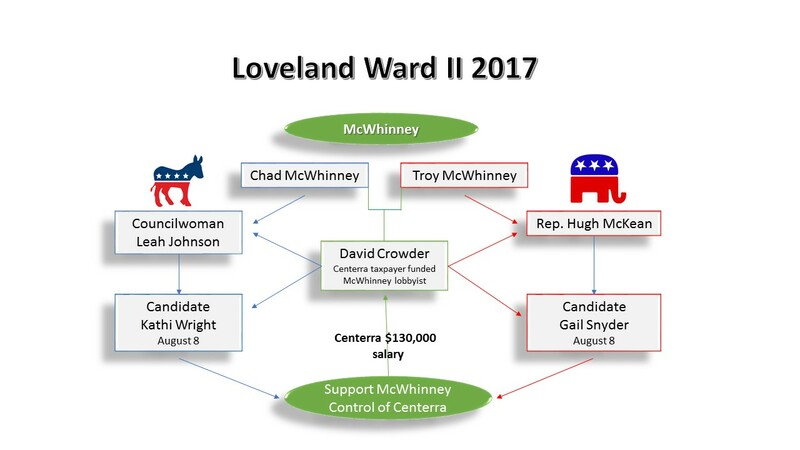 to run in Loveland’s Ward II City Council race. describing himself as a “lifelong” conservative Republican. campaigns among other high-profile Democrats. 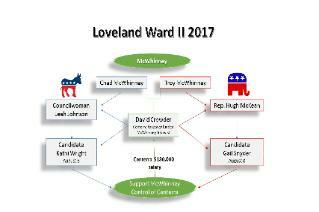 petition to represent Ward II on Loveland's City Council by the August 28, deadline.